The National Park Service turns 100 this month, marking a century since the agency was first created. With 209 cities currently served, SkyWest conveniently connects travelers to National Parks across the U.S. To celebrate 100 years of National Parks, we’ve put together a list of Parks that are only a SkyWest operated flight away! The National Parks Service will offer free entry to each of the National Parks starting August 25 through August 28, so get out, find your Park and start exploring! Grand Teton National Park is home to over 200 miles of trails and is a popular destination for mountaineering, fishing and back-country hiking. 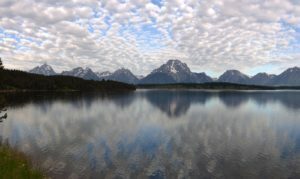 It has been described as tranquil with breathtaking views of a signature group of three mountain peaks that are the Tetons. Fly into Cody, Wyoming from Salt Lake City on Delta or on United from Denver or Chicago and drive two and a half hours to reach the entrance. Fly into Jackson Hole, Wyoming from Salt Lake City on Delta or from Denver on United. The park’s main gate is only 4 miles away. This park is in honor of our 26 President, Theodore Roosevelt who originally came to this area in the North Dakota badlands to hunt bison. It was during this trip he fell in love with the rugged lifestyle and “perfect freedom” of the West. This National Park features 100 miles of foot and horse trails, wildlife viewing, back-country hiking and camping. Many also come to view the Northern Lights. 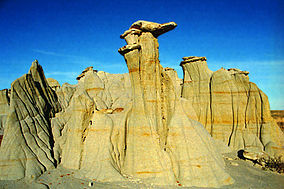 Fly from Denver to Jamestown, North Dakota on United and drive just over three hours to reach Theodore Roosevelt National Park. Fly to Bismarck, North Dakota from Denver on United or from Minneapolis on Delta and drive two hours west. 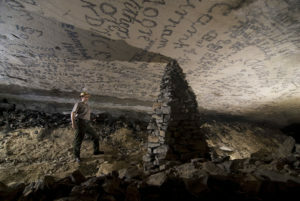 This National Park marks the longest known cave system in the world – home to more than 390 miles of limestone passageways with vast chambers and complex labyrinths. Visitors are able to follow rangers as they explore a variety caves or enjoy the river nearby. Fly to Paducah, Kentucky from Chicago on United and drive two and a half hours east to reach Mammoth Cave. 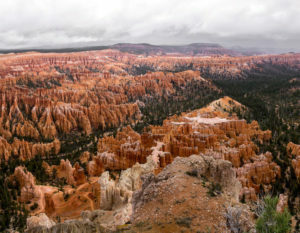 Bryce is known for its crimson-colored, spire-shaped rock formations called hoodoos, intermixed with pine trees and other greenery. Most visitors opt to take a drive through the park which offers 13 scenic viewpoints and a variety of sights. Other activity options include hiking, horseback riding, wildlife viewing and stargazing. For a different view, visitors can explore Bryce during colder months and snowshoe among the snow-draped hoodoos. Fly to Cedar City, Utah from Salt Lake City on Delta and drive one and a half hours east. Fly to St. George, Utah from Salt Lake City on Delta or from Denver on United and drive just over two hours to the main gate. Joshua Tree National Park is characterized by rugged rock formations and stark desert landscapes. 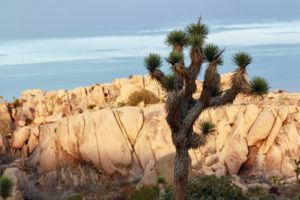 Visitors of the Park can explore miles of trails as they take in the views including the “zig-zaggy” branches of the Joshua Tree from which the Park gets its name. Fly to Ontario, California from San Francisco on United, Salt Lake City on Delta or Portland on Alaska and drive two hours through the desert valley to reach Joshua Tree. Fly to Palm Springs, California from Los Angeles on United, from Salt Lake City on Delta or Phoenix on American for a short 40 mile drive to the main gate. This Park remains the largest intact area of old growth bottom-land hardwood forest in the southeastern US. Waters from the Congaree and Watree Rivers sweep through the Park bringing life to the miles of lofty trees. 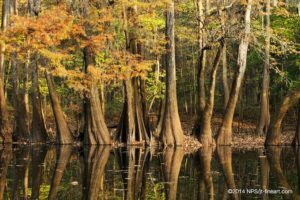 Congaree offers many options from canoeing and fishing to hiking and camping. Fly to Ashville, North Carolina from Chicago on United and drive two and a half hours southeast to Congaree. Fly to Greenville, South Carolina from Detroit on Delta for a two hour drive.